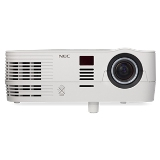 NEC’s 2800-lumen VE281X mobile projector is designed to provide high brightness for small-to-medium-sized businesses, education environments, corporate conference rooms and mobility applications where heavy ambient light is present but the space requires a small projector. 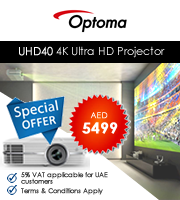 This lightweight model is affordable with essential features, including 3D Ready technology, 3000:1 contrast ratio and a powerful 7W speaker. 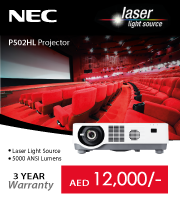 Its automated technologies—from Auto Power On and quick startup/shutdown to a lamp life up to 6000 hours—make it an eco-friendly choice.